A common misconception about BIM is that it is all 3D, BIM doesn't do 2D details and isn't all our investment in 2D CAD being washed down the sink hole. Not so. Revit can do detailing better than AutoCAD plus it can import your CAD details so you don't have to redraw everything. 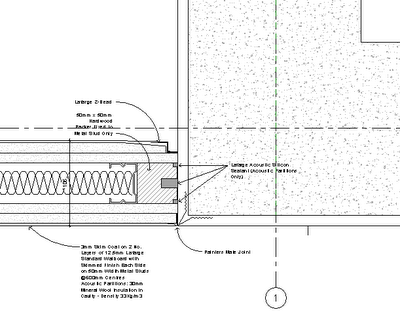 Why is Revit better at detailing? One simple answer - Coordination. Revit numbers, names and links everything in a tightly coordinated manner plus it has two great methods to incorporate 2D details. 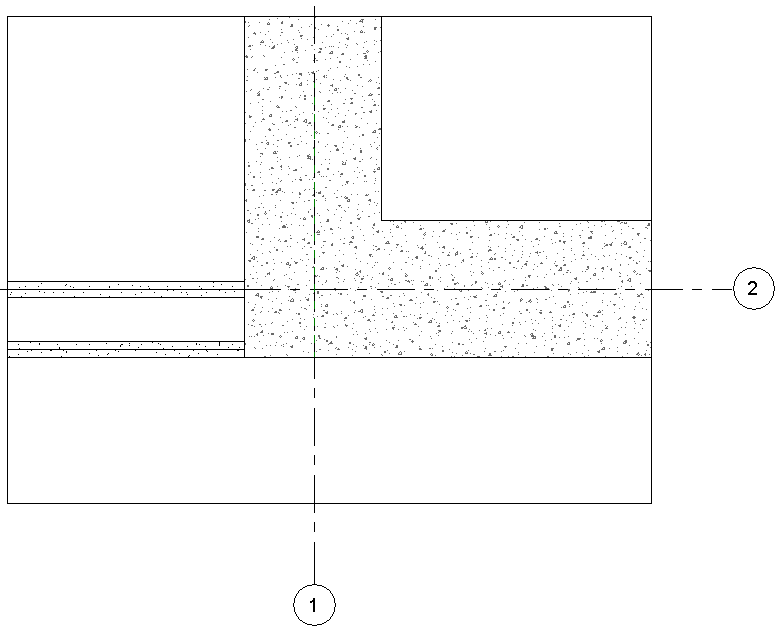 Drafting View - A Drafting View is a standalone view specifically set up for 2D details. A Drafting View is not linked to any other view in Revit but does have the benefits in that the 2D Detail view can be incorporated into sheets. Drafting Views are useful for details that are not referenced to another view e.g. typical 1 hour fire rated partition detail. Callout View - A Callout View allows you to reference a detail on a plan, elevation or section e.g. parapet detail on 1:25 section. A detail tag is placed on the plan, elevation or section which links to the Callout View. How do I get an CAD detail into Revit? Fom the View panel, select either Drafting View or Callout View. 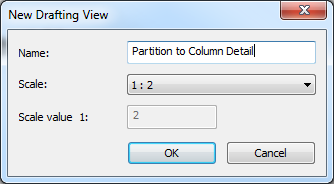 If you have selected Drafting View, you will be prompted to give the View a name and select the appropriate scale. Both can be changed later. 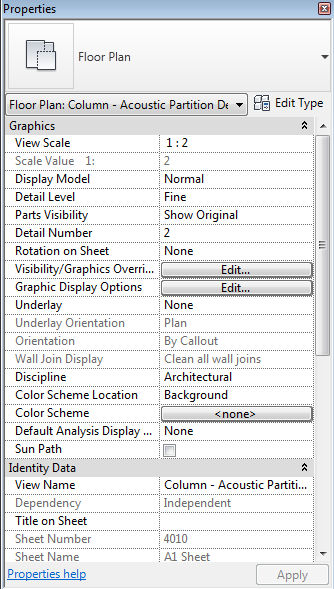 Revit will create the View which will be a Drafting View type. The view will initially be empty. If you have selected Callout View, a Callout symbol will be placed on the current view. You will need to place it a set the size of the box which will define the extents of the view. 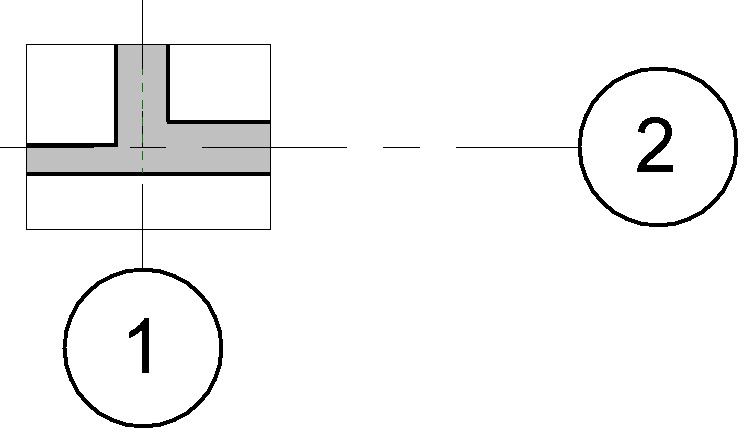 The label can be placed by selecting the box and then dragging the nodes. Open the View by right clicking on the Callout symbol and select 'Go to View'. The View will initially contain a subset of the referenced view defined by the Callout box. You can stretch this and the Callout symbol will adjust accordingly. Set the scale to a desired detail scale e.g. 1:2 and set the Detail level to Fine. Notice the Callout symbol on the referenced view does not yet have a number or a sheet reference. 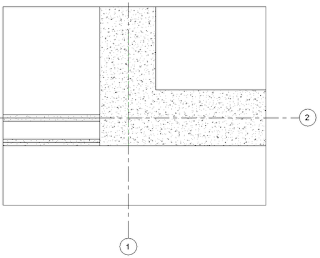 Drag the detail view into a sheet and Revit will automatically number the detail and include the sheet number. You can change the Detail number in the properties palette. 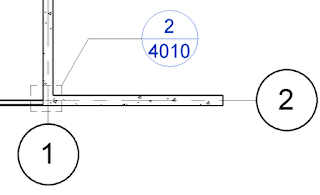 The Detail number must be unique though and Revit will warn you if you try to renumber a detail to the same number used for another detail. Note: When you place the view on a sheet, the View Name will be used as the title for the view. You can use the The Title on Sheet property to override the View name, but it is good practice not to do this. 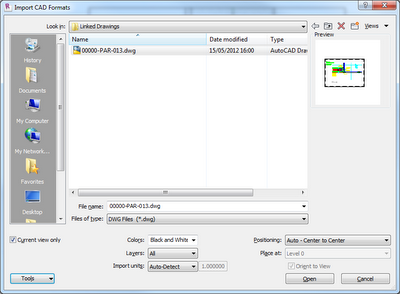 Now import a 2D drawing by selecting Import CAD from the Insert panel. 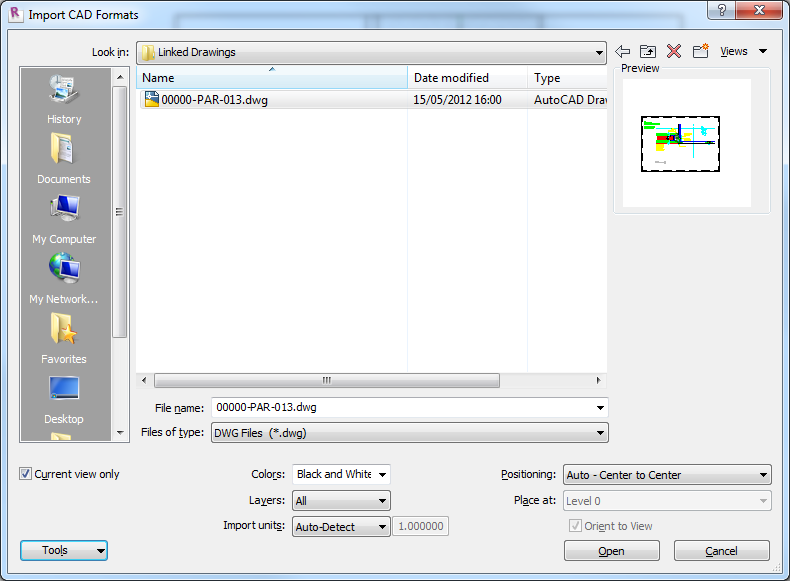 Select a 2D CAD file. make sure you select Black and White as the color and tick the Current View only box. 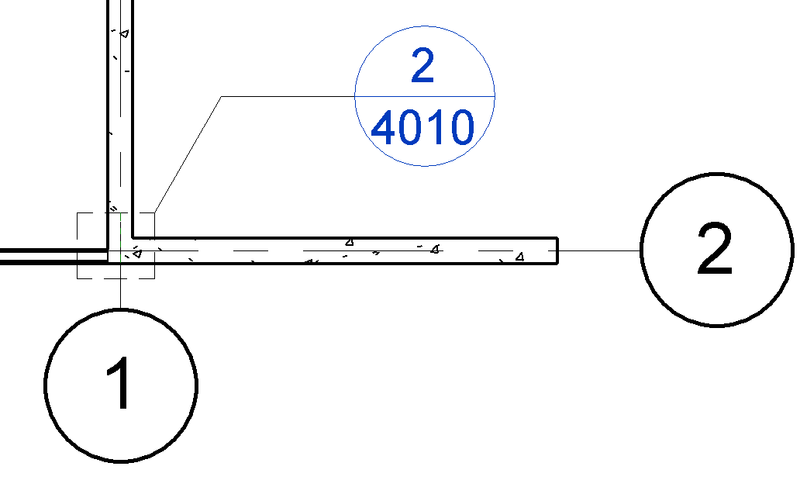 Note: To save time, the CAD drawing should only contain the detail you are importing. If the drawing contains numerous details, you will have to delete the other details, so it will save time and effort if the CAD detail you are importing contains the minimal amount of information. Hatches don't import into Revit, they just end up as lines. If you are in a hurry, you can lave them in and delete and replace them with Regions afterwards, but otherwise delete them in the CAD file. If you are using a Callout view, you can move the entities to align with the Revit model view. 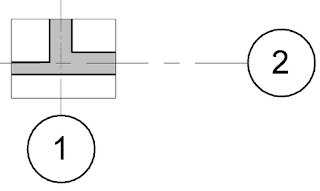 Use the align tool to accurately place the 2D detail. Once you have aligned your imported detail to the correct location, you can hide some or all of the Revit entities if required. On the example below, I have hidden the partition from the model by selecting the partition, right clicking select Hide in View and then select Element. I kept the RC Wall visible. The location of the grid bubbles can be adjusted by dragging them. This will not affect the referencing view. Moving the grid lines would though.You may need to tidy up some of the text by setting the width appropriately or combining text into a single text item. For relatively little effort, your CAD details are now integrated into Revit and benefit from the great coordination tools in Revit. In the next post, I will look at the editing tools available for 2D where you can create a 2D drawing from scratch or use them to enhance imported 2D details.